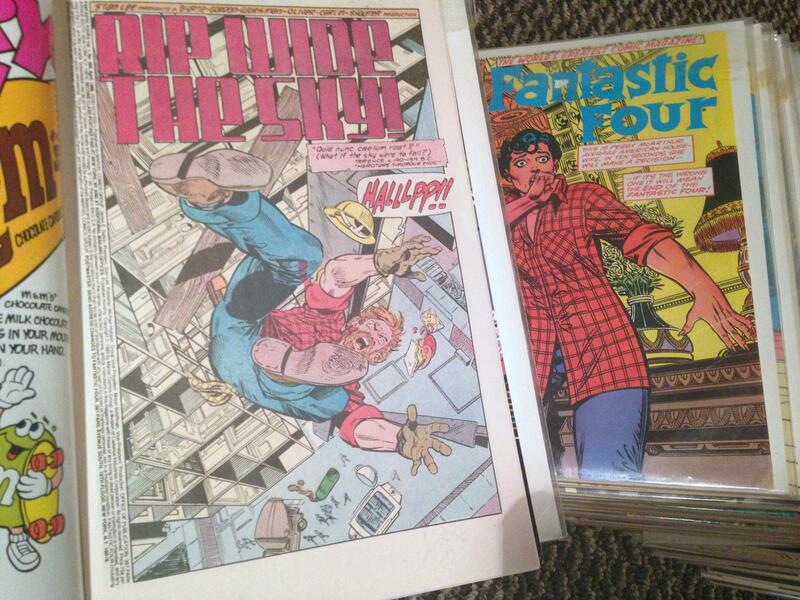 Although he had drawn a few issues of Marvel’s Fantastic Four for other writers, John Byrne made his mark on the title by writing and drawing more than sixty issues in the 1980s. In addition to the regular series, he also worked on several Annuals, including an Avengers Annual that forms a two-part story about the Skrulls. 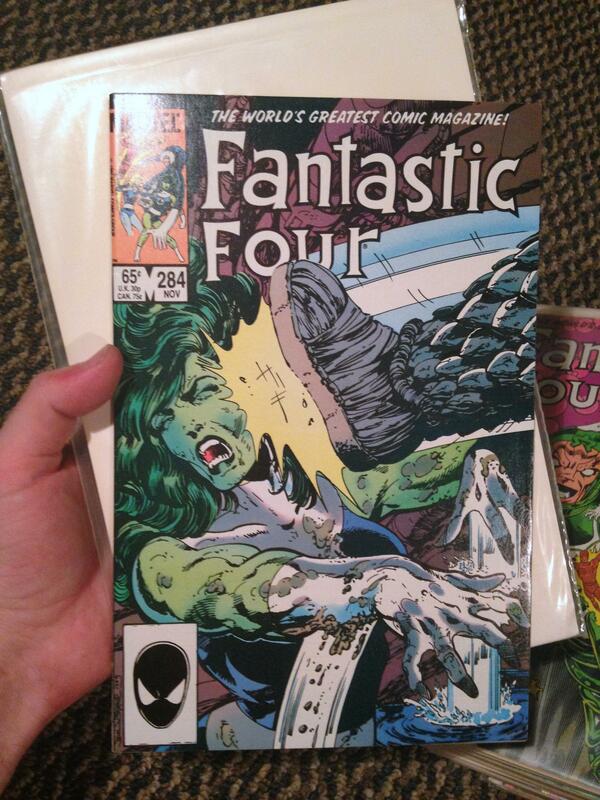 Byrne also contributed a story to What If, exploring a version of the FF that never got superpowers. 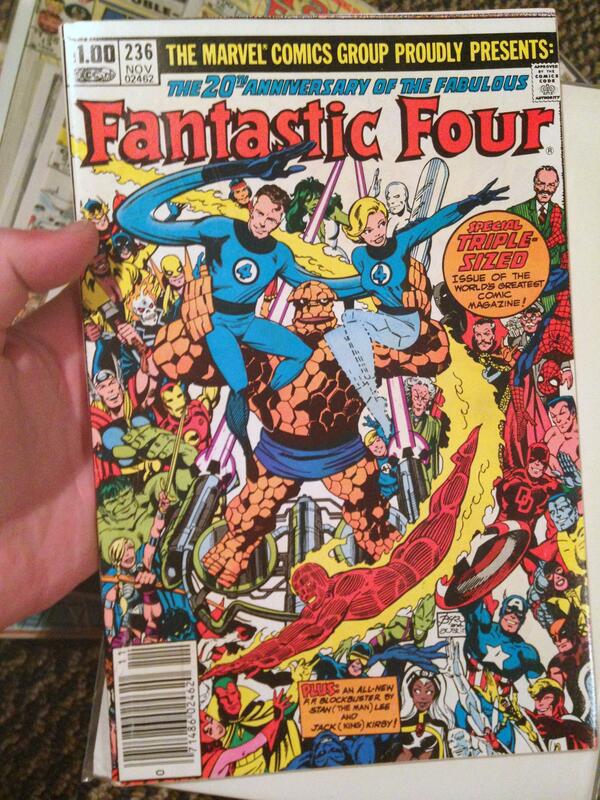 With its tribute cover to FF #1 and conceptual similarity to Challengers of the Unknown, What If #36 demonstrates Byrne’s Kirby influence almost as much as his OMAC story. True completists should note that Byrne stuck around for a few issues longer than what we now consider his run on the title. He earned credits for plot while the next creative team got started – a team including his collaborator on several other Marvel projects, writer Roger Stern. 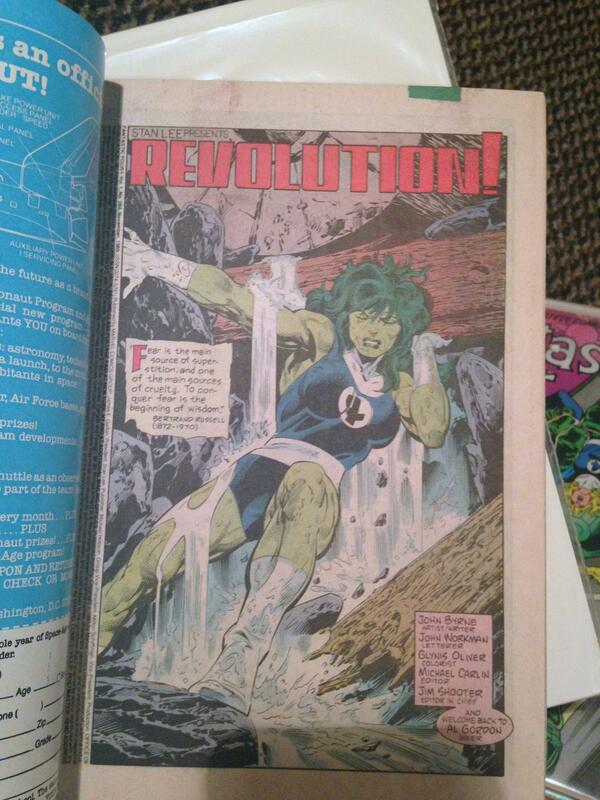 Although this smoothed the transition for monthly readers at the time, it definitely isn’t Byrne’s title at that point. 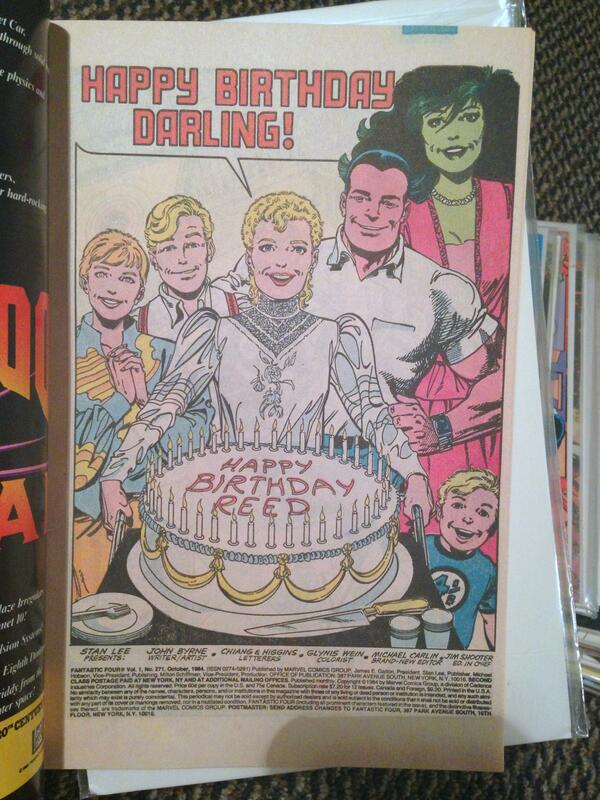 But a comic book like this takes a team. The lettering, coloring, and inking on this run remain consistently excellent. 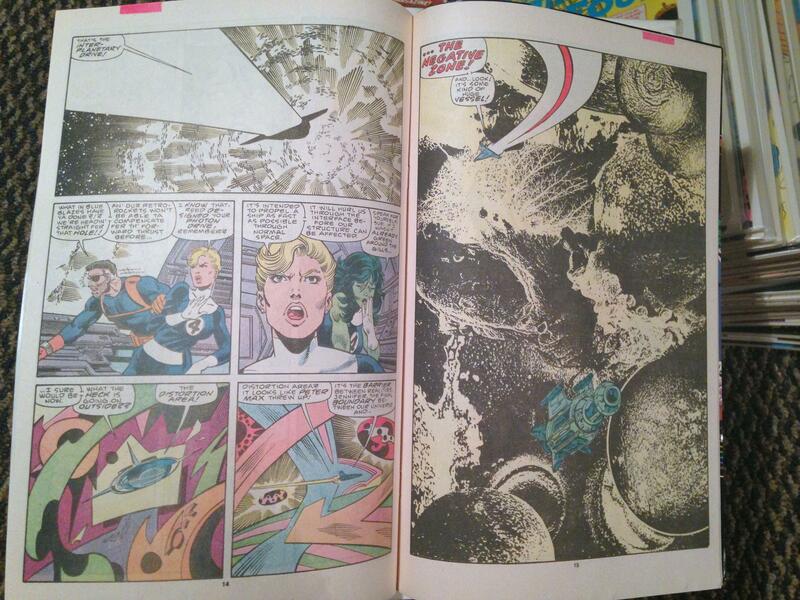 Drawn to this book by Byrne’s contributions, I soon realized it worked so well because of other subtle superiorities: the flow of word balloons made more sense on the page, the colors complemented and amplified the artwork instead of obscuring it, and the rendering of Byrne’s pencils seemed better than some other places. 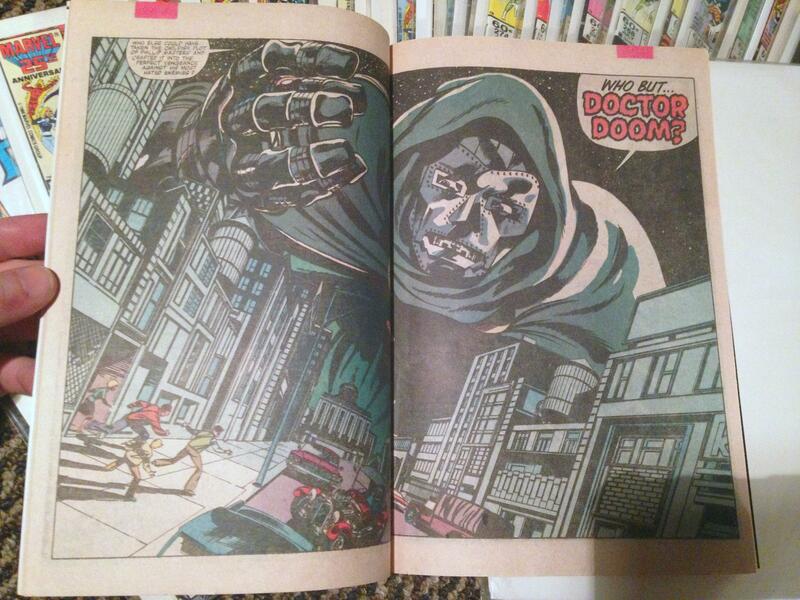 As a young reader, it made me start paying more attention to who was doing what in comics. That’s not to say such a landmark collaborative team had never come together before. Just that as a reader, I started to notice it then. And give me a break – I was only about 12 or 13! About the time the Hate Monger comes along and makes Sue chop off her hair, I was old enough to have a small allowance and a bicycle. That meant I could get to the local Walgreens, which had a great selection of Marvel and DC for a drug store, and buy a few titles every month. 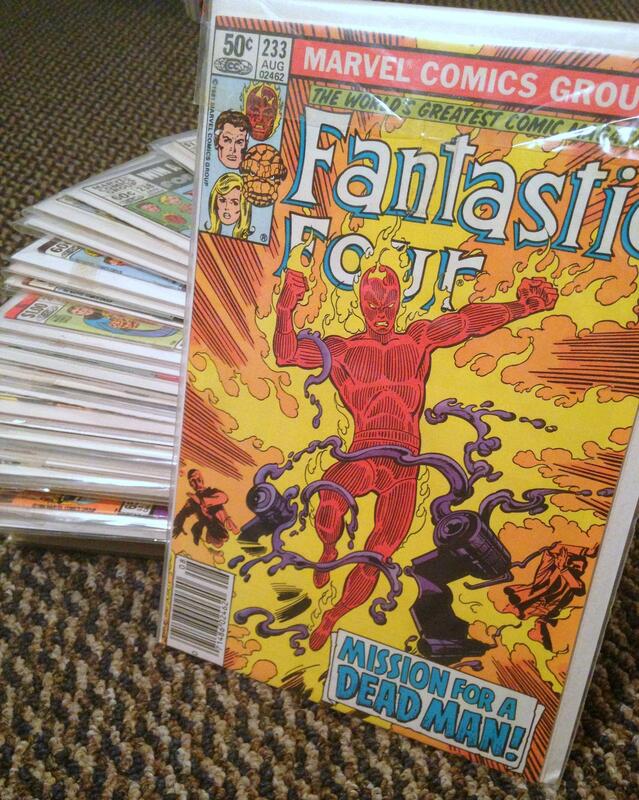 In those days, comic specialty shops and mail order offered opportunities to collect back issues. But I wouldn’t be able to go that route until a few years after Byrne wrapped up his run and I had my first summer job as a golf caddy. 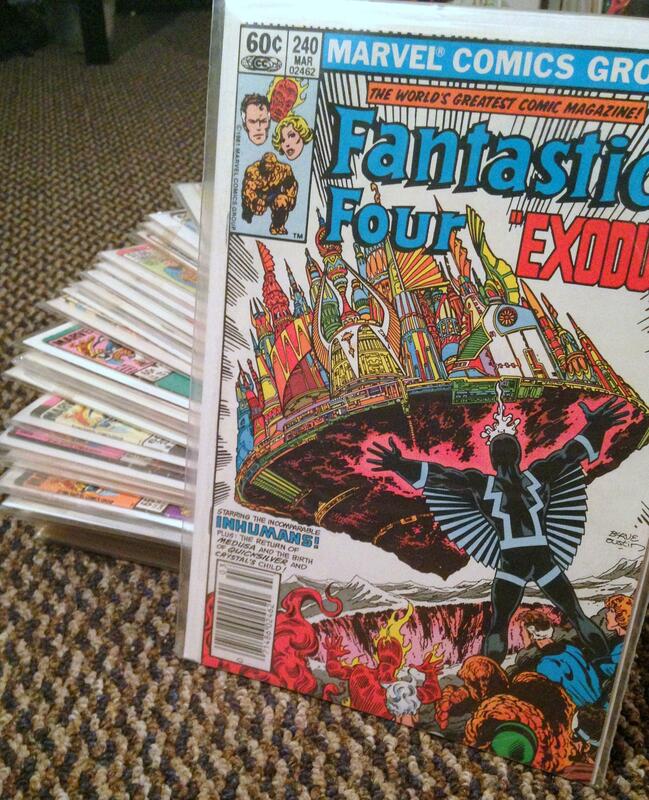 Even then, armed with dozens of dollars that felt like hundreds at the time and storming the local comic shop weekly, I never did get to collect the entire run. 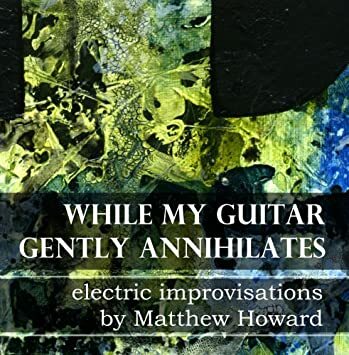 Only years later, thanks to a great deal on eBay, did I get a chance to sit down for a weekend or two and read the entire thing start to finish. As far as superhero comics go, it is awesome. It earns its legendary status! Fans agree, and just a couple years ago Marvel published the run in omnibus format, as two big books. We will be keeping our eyes out for a deal on those someday soon. Why? After patching up a few holes in the collection for completeness and enjoying owning this run, we sold it on eBay recently. We got a little less cash out of it than we put it in, but that’s a small price to pay for knowing the pleasure of this truly fantastic series. When things turn around here, we will be looking for a used copy of that Omnibus. You can bet your cosmic rays on that! If you want to see some great scenes from this run, just wander into our archives for a while and start scrolling! 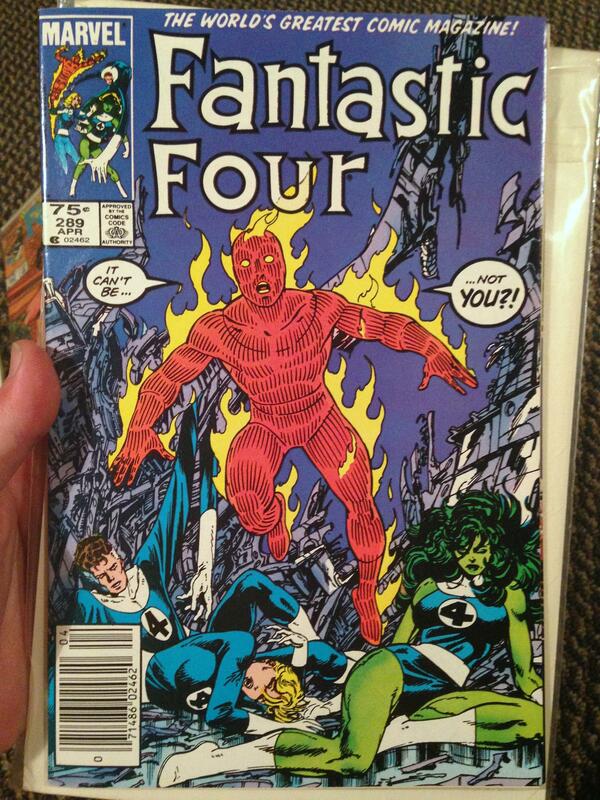 The Omnibuses include some other extras you can track down. 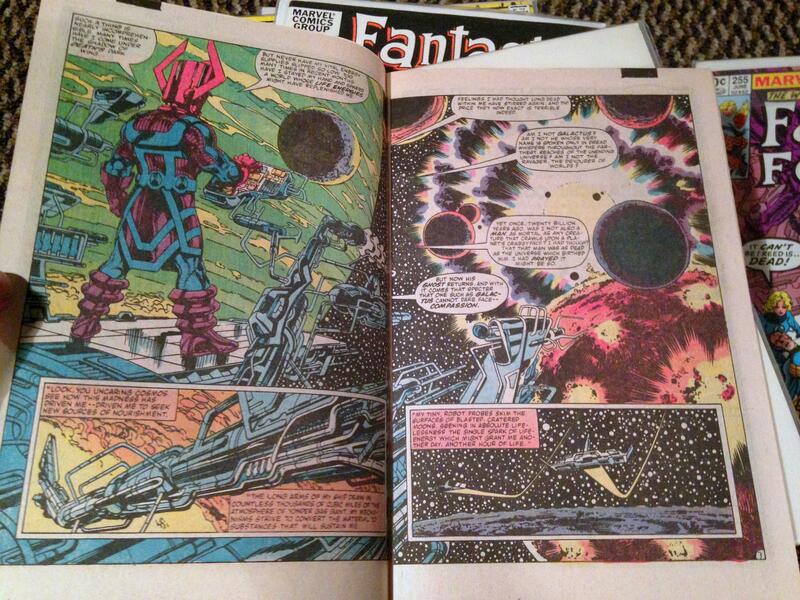 Of those books, only The Last Galactus Story from Epic Illustrated #26-34 really interests us. 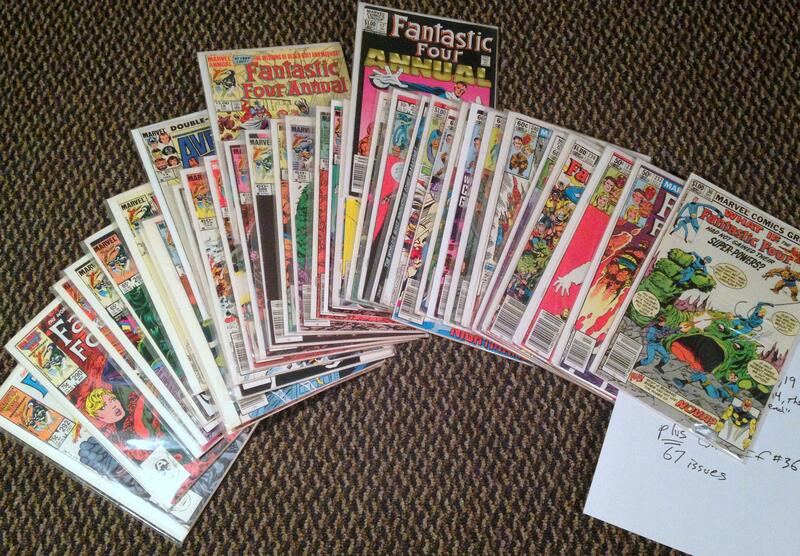 You might want to include Fantastic Four Annual #17-19 and Avengers Annual #14 and What If #36.